I became a Michael and Jackson 5 fan in 1969, and followed their careers throughout the 1970s. Over the years, I've collected music, videos, audio and other information, that I've now pulled together, since Michael's passing, in June, 2009. I've personally selected items for this page, that I hope TRUE FANS of that era will enjoy. 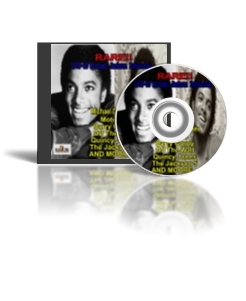 Several of the featured products are ORIGINAL and created from my PERSONAL COLLECTION of MJ/Jackson memorabilia. Be Warned!! this page is for the "OLD SCHOOLERS" and/or those who enjoy Vintage Jackson. Remember the Jackson 5 Saturday Morning Cartoon...Goin' Back To Indiana, (The J5's VERY FIRST TV Special on ABC)... Soul Train and the Guest Appearances on other TV shows...? How about all the great Album Cuts that didn't get played on the radio but had you jammin'? They're all featured on DVDs and an ORIGINAL,Four-Disc CD COMPILIATION I call, "Michael Jackson: Soulful Solos." While You can buy any of these items individually, you can SAVE MONEY with the MICHAEL JACKSON ULTRA-RETRO FAN PACK and For A LIMITED TIME, GET EVERYTHING, For ONE VERY, VERY LOW PRICE!!! See Product Details To Find Out Exactly What's Included in this Package!! I'll be adding more items in the coming days -- Including T-Shirts and More DVDS -- Please Fill Out The CONTACT FORM, Below, to be notified of Product Updates and other Site News. Have a Question, Concern, Comment or Suggestion? I welcome your feedback. Please go to the Contact Page or Use The CONTACT FORM, Below, to reach me directly. There's Also A FAQ Page that may answer any questions you have about the site, store and/or products. ATTENTION: Entrepreneurs, Vendors, Distributors, Fundraisers & Affiliates!! 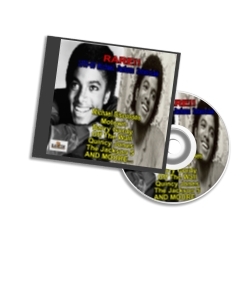 MICHAEL JACKSON ULTRA-RETRO FAN PACK For Your Next Money-Making Project!! Need A PayPal Account? It's FREE & EASY To Get One!! Takes Less Than 10 Minutes!! The COMPLETE, 23-EPISODE, DVD COLLECTION, from the Jackson 5 Saturday Morning Cartoon Series!! The 1970s SOUL TRAIN SESSIONS - Classic Performances, Featuring Michael & The Jackson 5, at the Height of Their Career!! The 1970s TELEVISION APPEARANCES - Featuring Michael & The Jackson 5 on Various Network Televison Shows and Specials!! "GOIN' BACK TO INDIANA," The Jackson 5's First Television Special on ABC (Complete With The Original Commercials That Aired During The Show) and Co-Starring: Bill Cosby, Rosey Grier, Bill Russell, Diana Ross and More!! The 2009 Michael Jackson Memorial Service - The COMPLETE Home-Going Service For Michael Jackson, on DVD - Featuring Memorable Appearances by Barry Gordy, Reverand Al Sharpton, Stevie Wonder and Several Others!! 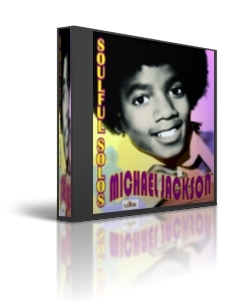 MICHAEL JACKSON: SOULFUL SOLOS - A 4-Disc, CD Compilation of Michael's work as a Solo Artist and Lead Singer of The Jackson 5. Note: Most of The Songs Featured in this Collection ARE NOT the RADIO HITS, but some of Michael's Best Work, nontheless!! More than 90 Songs Totaling More Than Five Hours of Music. Listen To Music Samples In The Individual Product Listing, Below. Michael Has A RARE, 30-Minute, 1979 INTERVIEW With A British Jouranlist ( Pre-Martin Brashear ). Interestingly, The Interviewer is Assisted by Mchael's Then, 13 Year-Old Sister, Janet. He Discusses Motown, The Jackson 5, Musical Influences, Quincy Jones, Barry Gordy and More!! Some of Michal Jackson's BEST SOLO WORK never got radio air-play. 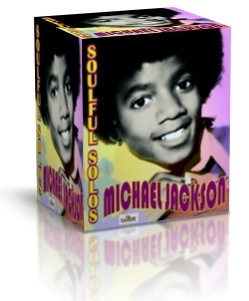 This 4-CD COMPILATION ( I Personally Put together) Contains More Than 90 Songs taken from Michael's solo albums and those with the Jackson 5. Even if you recognize some of the songs, I GUARANTEE this collection will bring back Smiles and Memories. Need A PayPal Account? It's FREE & EASY To Get One!! -- Takes Less Than 10 Mins!! Prior to the Jackson 5, the only other music act to be honored with a Saturday morning cartoon show, was The Beatles. The Jackson 5 Cartoon aired in 1971 and was one of the Most Popular Animated Shows on the ABC Saturday morning roster!! 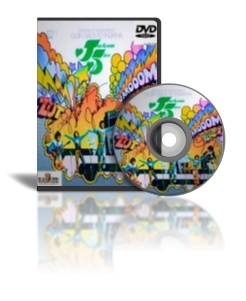 This DVD Set contains All 23 Episodes, on 5 DVDS - featuring all the great music by the '70s Supergroup!! Clip From The Jackson 5 Cartoon - "ABC"
RARE, Late 1970s, Early 1980s Michael Jackson Interview With A British Journalist. In this interview, which is a little over 30 minutes in length, Michael talks about the early days at Motown, the Jackson 5, Barry Gordy, his musical influences and MUCH MUCH more!! The UNIQUE thing about this conversation is that the questions being asked by interviewer, are being relayed to Michael by then 13 Year-Old sister, Janet. On September 16, 1971, ABC aired Goin' Back To Indiana, the Jackson 5's First Televison Special. The first half of the show has Comedy Skits and Rehearsal Perforrmances By Michael and his brothers. The Jackson 5's LIVE CONCERT, in their hometown of Gary, IN, makes up the second half of the show. Featured Guests Include: Bill Cosby, Bill Russell, Rosey Grier, Diana Ross and Tommy Smothers. I personally like that all the ORIGINAL 1971 COMMERCIALS and Promos were left in!! Like many other R&B Performers, Michael and his Brothers took a few rides on the "Hippest Triip In America!!" Even with Japanese subtitles during the ONLY The Interview Portions on some clips, this compilation is VERY GOOD. It Focuses, a lot, on Michael, but other J5 members have their time to shine, also. I'll be putting together similar compilations in the future, but this DVD is a Good One to Start With. -- And Yes, it does include "Dancing Machine," with Michael Introducing The Robot! Ed Sullivan, Carol Burnett and American Bandstand, were among the TV shows Michael and his Brothers appeared on during the 1970s. This DVD is Vol. 1 in the series I'll be putting together during the coming months. It features performances of "Dancing Machine," "Ben," "The Love You Save," "Rockin' Robin" and MORE!!! 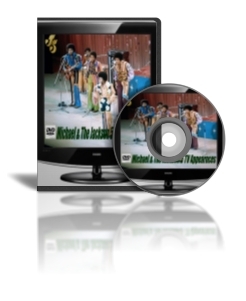 This is the COMPLETE, 2009, Home-Going Service for Michael Jackson, Recorded on HIGH-QUALITY DVD. Includes ALL the Memorable Moments.